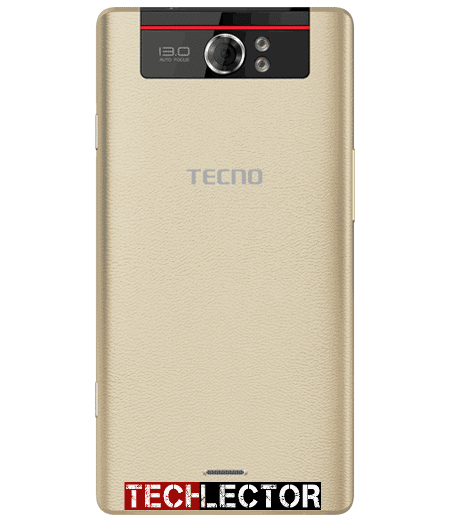 Tecno has finally released its latest addition to the Camon series – Tecno Camon C8 phablet which is also tagged as Camon8 and given its slogan “Capture the Beauty of Darkness ” – The Phone is Powered for Low-light Shooting. 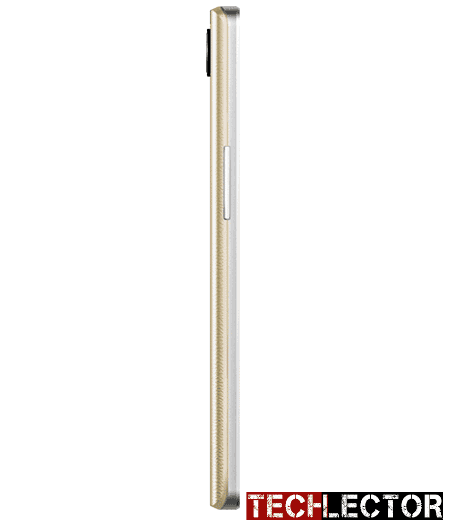 The high-end Smartphone – Camon C8 has a design concept that is closely similar to that of the Tecno Camon C5. The company has captured this market segment very well and plans to do it even better. We are quite sure you might be thinking if this new device is coming with a massive 8-inch screen. Nope, this is not a tablet. Camon C8 is a phablet device that will eventually come with a 5.5-inch IPS HD touch screen. The 5.5 inch display is an improvement from the 5.0-inch display found on the Tecno C5. It has a Tecno Camon C8 has a metallic frame that makes it look beautiful. READ:==>> Tecno Camon C5 vs Tecno Camon C8 : Specs Showdown! It is, however, worthy to note that the Camon C8 is built to focus more on photograph, and this might be the best camera phone sooner you think. The device sports an excellent 13 Megapixel rear. People already own phones with 16MP and 20.1MP cameras. How good really is this camera? But you and I know that camera ‘size’ doesn’t matter. It’s up to quality. Besides, the technology of visidon can brighten the pictures 50% than common phones. What’s more, the quality of the back flash is industry-leading, it can ensure the clearest pictures in low-light environment among the many brands of phones. The shooter boasts an F2.0 wide aperture, Dual LED flash and autofocus as well as burst and High Dynamic Range (HDR) modes. It shoots 4K videos at 30 fps and Full HD videos at 60 fps. It also will sport a sweet front facing camera of 5 Megapixel, wide-angle lens sensor for taking great moment with family and friends in groupies or selfies and also enhance clearer video calls and Skype calls. It even has its own dedicated flash, so selfies should also come out quite nice as well. Record stunning night scape, breathtaking scenery and every extraordinary moment. Bring out your beauty solely with this amazing little device. 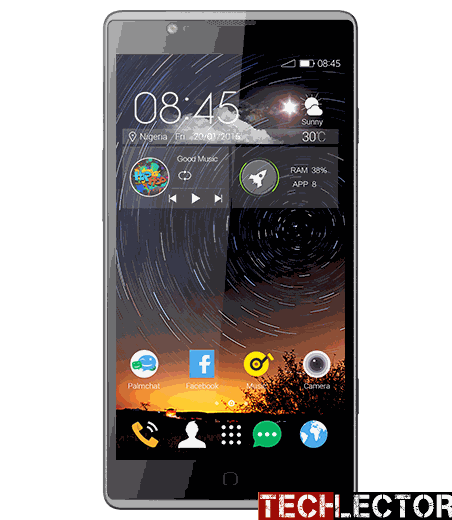 Camon C8 is capable to take pictures automatically using gestures directed to the camera or as well using voice instructions to capture pictures. The phone also has a dedicated camera button which means taking photos has become easier. 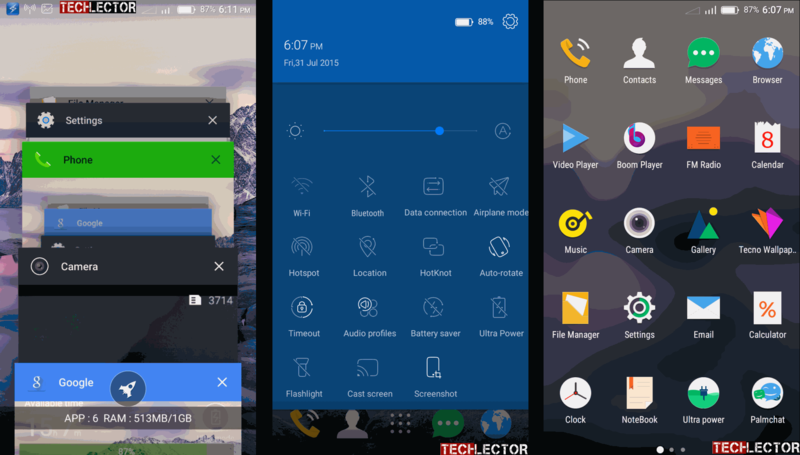 Tecno Camon C8 will feature a Quad-core processor clocking in 1.3GHz and run on the latest Android OS 5.0 Lollipop to offer you the best of experience. It is said to be powered by an enormous 3000mhAh battery that can give you 10 hours’ worth of power on a 15-minute charge, making it the “world’s fastest charging smartphone,” according to Tecno. It is rumored to come with a 1 GB of RAM for speed and multitasking following a ROM of 16 GB which can also be expanded up to 32 GB. Connectivity features include 5pin microUSB, Bluetooth 4.1 and Wi-Fi 802.11 a/b/g/n with mobile hotspot. C8 phablet has Dual SIM functionality with full 3.7G support, which is very easy for internet connectivity. It is to be noted that this phablet does not have a support for a 4G LTE as sported on its C5. SEE ALSO:==> Tecno Camon C5 vs Tecno Camon C8 : Specs Showdown! Tecno Camon C8 phablet is not yet available in Nigeria, but will be launching this August, 2015. When available, you can buy it at leading online stores in Nigeria. Tecno C8 price in Nigeria is expected to starts at around N20,000 – N28,000 depending on your location and place of purchase in the country. How much is are they selling techno C8 now ? Apparently, waterproof phones would cost more. Oh! wow! A quick charge? 15minutes? Some serious ajasa. I wouldn’t mind this though. Very solid phone, this one. Looks like a very good buy. Any official price yet? Woooww! For all the specs I see? Cheap. Very cheap. U call it affordable bruv, not cheap.